Network-based data loss prevention (DLP) tools are designed to track, log and prevent unauthorized access to sensitive data. Although the first step an organization should take is to train users on how to handle sensitive data, DLP tools help to strengthen the sensitive data protection strategy. 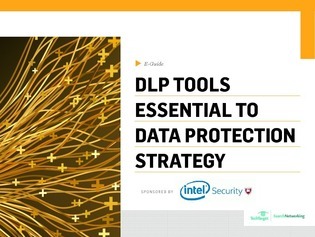 In this e-guide, learn more about DLP concepts, and get an overview of products designed to support a robust sensitive data protection strategy.